As I sat by the lake on Saturday I felt a certain calm and peace transcend delicately onto my world as I saw a small white butterfly flying over and around me wherever I went that day. In the background by the lake you could hear kids laughing, and screeching with delight as they were thrown into the lake by their papas, mamas and older siblings. The joy etched onto their faces. The peace printed onto their smiles. The Lord lovingly gave them a lake where they could splash about on hot summery days where time would stand still, and would be woven into the stitches of each square that would eventually become a moving quilt. My mind rapidly goes into a dream world where I imagine what it would have been like if I had my children besides me. I imagine them screeching and running into the lake full of excited giggles as they splash and play around, as I look on at them with proudness. But in this instance I was looking after my sister and her little friend. My dream world suddenly jolts back to reality. I must focus on the reality of my situation rather than go into the comforting folds of dreamland. I must put my focus and trust into God. I am learning to sit quietly and to accept God’s beauty in everything that we see during the day. Every day is a stark learning curve. Saturday morning, I laid in the grass with the grasshoppers and the spiders, and the beetles as they crawled over my body, and as I just lay looking up at the sun, with a content smile on my face knowing it is well with my soul. When a peace transcends like this unto your world, you know that you have God with you, in your heart; for without peace you would be in constant turmoil which is mostly what my world consists of. The emotions that storm my day and my night; the pain of having memories, the pain of losing, the pain of rejection, the pain of insecurities that long sit by your side. The fear that you live with; will I ever become a mom again? In that moment I relished the moment of peace that transcended onto my world as long as it lasted I was content with whatever the Lord has in store for me. 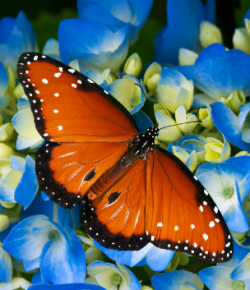 When I see a butterfly in the sky, I imagine it taking messages to my lost children. I imagine them flying high above into the distant azure and passing on the quiet messages from mother to daughters and mother to son, only for the butterfly to fly delicately back down with their own messages of peace, joy and the freeness and vast love that my children experience without my being present. So whenever I see a butterfly, my mind drifts into the depths of my imagination as I remember what it was like to carry each of my children within me for the months that I had with them, and how grateful I was to our heavenly Father for giving me a chance to mother them even though I could not protect them from some of the dangers that lurked within. The peace and the love I felt for them was so strong, a bond that will never break, even though the umbilical cord will keep stretching as we move further away from the day that they left my body with dignity. My children gone. My life in shambles. The broken puzzle pieces that I have to pick up once more and glue back together. This is about releasing the butterflies back into the sky as they enjoy the freedom that God offers them, and the peace that comes with it. If I had one more chance to see my children, to hold them, to watch a sunrise with them, perhaps my life would have taken a very different turn. But I am in the here now, the reality, facing what is in front of me, not alone but hand in hand, side by side with Jesus, stronger than before, learning to trust and to believe in God again. Though I have been hurt, I know that God did not take my children away. God is a loving God. My children are safe with him; crowded around by his feet as he loves them more then I could ever have loved them. I will celebrate their existence in silence as each one has changed my life in a different way. Micheline my first born, leading me to my faith. Elouise teaching me to fight; and Sebastian giving me the courage to do things far beyond my comfort zones. And with that, I carry each of my children in my heart, a piece of them stays with me as I learn to exercise the things that they have taught me whilst I was pregnant with them. Never forgotten. Fly high like the butterflies. Be free. This is beautiful. Im so very sorry for all of the loss you have endured. I hope that we both can go on to have healthy babies in future.